My vivacious, glamorous friend Lindsey recently turned 33 (+VAT) and asked me to create a cake for her party. She set very few criteria, provided some ideas and then let me run with it. For the method, follow that link above and use the instructions straight from the horse’s mouth, as it were. 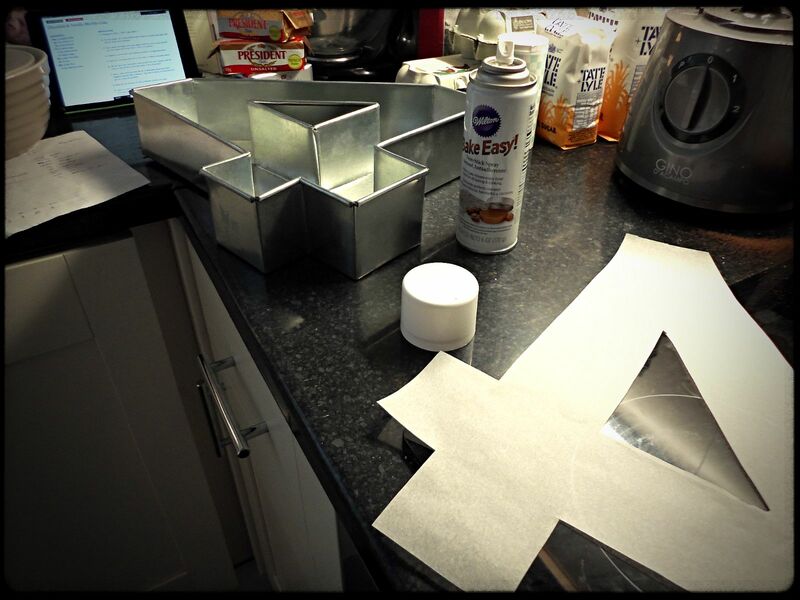 The lovely lady in the cake tin shop assured me that buttering and flouring each tin would be sufficient to get the cakes out, but is this a risk one really wants to take? 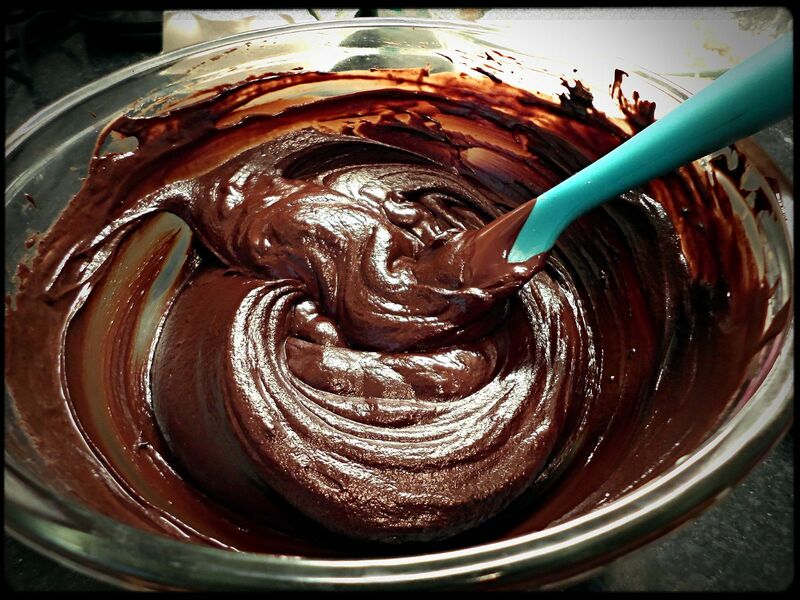 Within the realms of occasion cake baking, can you imagine anything more heartbreaking than making a HUGE sponge mixture perfectly, baking it perfectly, cooling it properly and then screwing the whole thing up because it wouldn’t come out of the tin?? No. If ever a baking situation called for figurative belt, braces and a good elasticated waistband, this is most definitely it. I had the benefit of two KitchenAid jugs, so mixed up a vanilla batch in one, covered it tightly with clingfilm and left it in a cool room while I mixed up a chocolate batch (if you do this, bear in mind that you’re halving everything above for each batch except the chocolate and the milk, the entire quantity of which goes into the chocolate mixture). 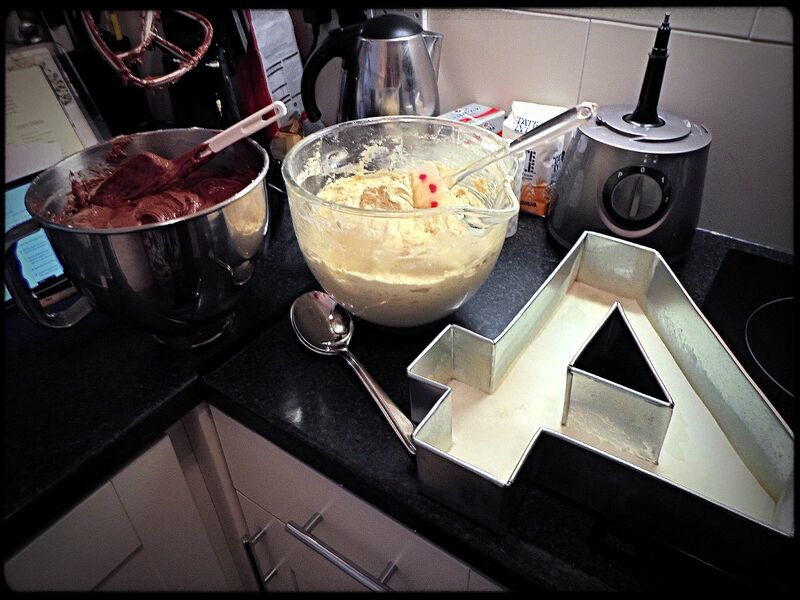 Having seen a slice chopped out of these now, in hindsight I would marble them a bit more enthusiastically. I tried to get a good mix of the two flavours throughout whilst maintaining definition between them but one or two slices still came out mainly chocolate, which wasn’t ideal. Next time, I’ll use smaller spoons and checkerboard three or four layers of small blobs, marbling each layer before spooning out the next. I filled the tins right up to just about an inch short of the top edge so that the sponges would rise above the tin but not overflow. I then trimmed the top off so that I knew that each sponge would be the same height. Conveniently, I had enough mixture left over to make myself a couple of “quality control” cupcakes. I baked each tin at 180 for 1 hour (rotating at the 30 minute mark), then tested with a skewer. At this point (with both tins), I reduced the temperature to 160 and baked for a further 10 minutes. Leave them to cool entirely in their tins to reduce the amount you need to schlep them around. Also, don’t underestimate how long it’ll take these beauties to cool down before you ice them. I covered two boards with rolled fondant (I would get fatter boards next time, because these are a little too flexible for the amount of manipulation they had to endure – the fondant covering suffered for all the messing about). I splatted a few blobs of icing onto the top of each sponge before turning them onto the boards so that they didn’t slide off while I decorated. That would’ve just about ruined my day. 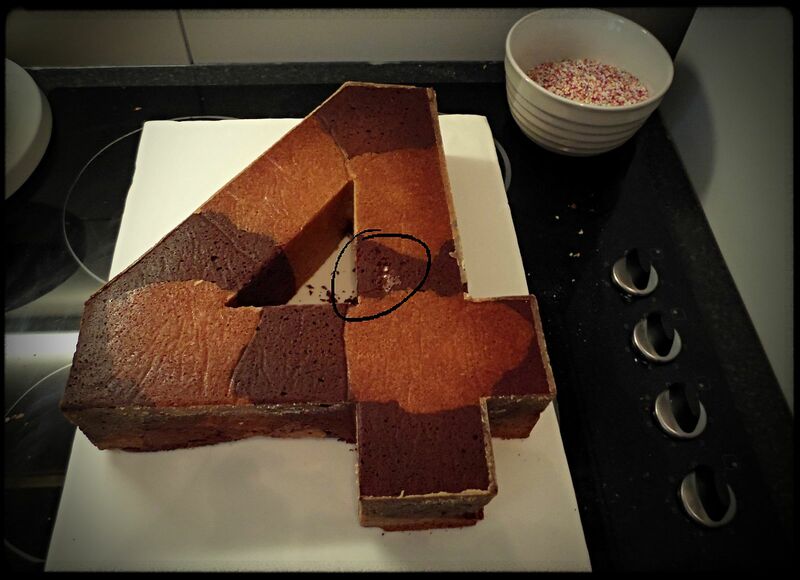 When I tipped the ‘4’ out onto the board, a small chunk of chocolate sponge came away (marked in the above photograph), so I thought little of it and patched it back on with icing. Sadly, the texture of the sponge and the consistency of the icing didn’t really lend itself well to a patch job. I battled (gently) with this little spot before finally conceding that it would never be perfect but could be concealed with decoration later. 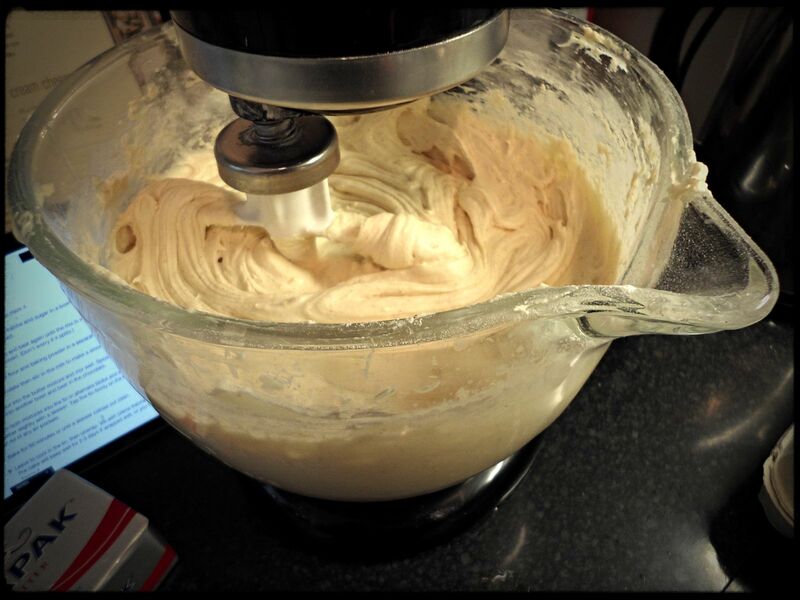 I mixed up a triple batch of Dan Lepard’s crème fraîche icing for each cake, which was 225g crème fraîche to approximately 850g-1kg icing sugar, depending on the consistency you’re after. Decorating the ‘4’ cake took me two solid hours. 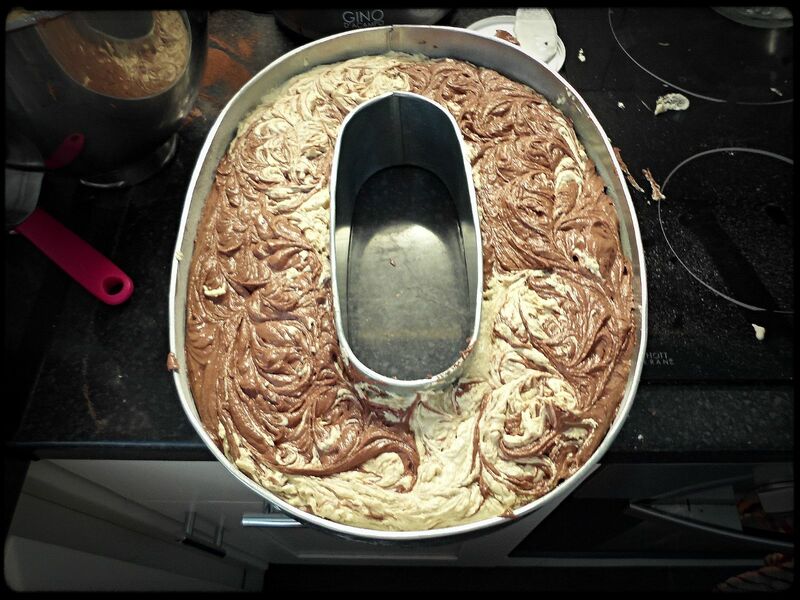 This is partly because it was really fiddly, but also because I made the icing too thick – I used less icing sugar for the ‘0’ cake and it was a much quicker exercise. 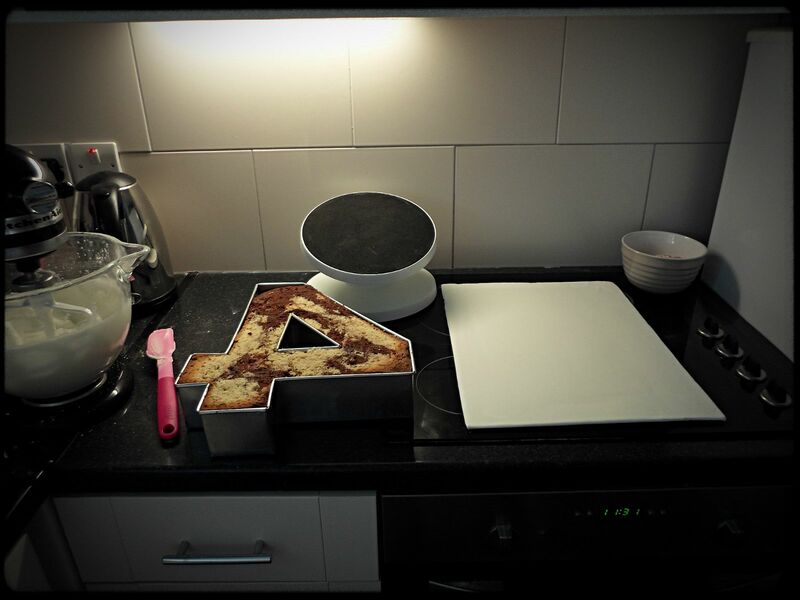 I popped the ‘4’ onto my tilting turntable and covered the whole cake with a thin layer of icing. 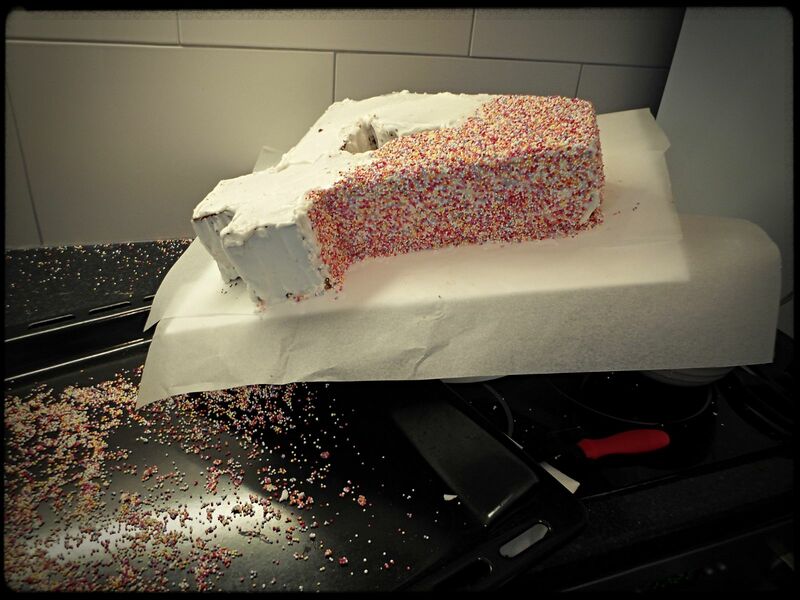 The surface area was so huge that by the time I had covered the whole cake, the bit I did first had dried, so in order to make the hundreds and thousands stick, I had to dampen it down a little and smooth it out. When it comes to the technique of sticking hundreds and thousands to vertical surfaces, I wish I could claim to have a miraculous technique to share. I do not. But what I will tell you is that there is as much skill in managing the hundreds and thousands that roll or bounce off the cake as there is in managing the ones you get to stick. I placed my empty (and clean) grill pan under the lowest bit of the turntable in the hope of catching as many as possible, but there were still THOUSANDS all over my kitchen (many of which are still in residence behind my fridge… must pull that out…). 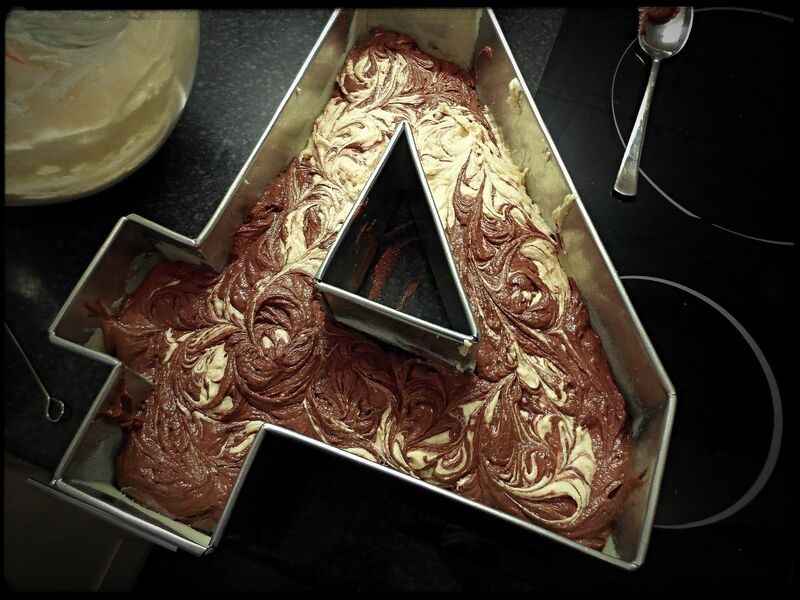 It was virtually impossible to cover the inside edges of the ‘4’ with sprinkles because the space is so tight, and extremely difficult to get a smooth finish on the icing (especially in the aforementioned damaged bit) so I had to cut my losses and rely on soft evening lighting to help me get away with it. I had my technique down by the time I got to the ‘0’. I used the world’s tiniest non-stick palette knife to slather icing smoothly on a patch of cake, quickly slapped it with sprinkles and overlapped the edges of that patch to do the next. 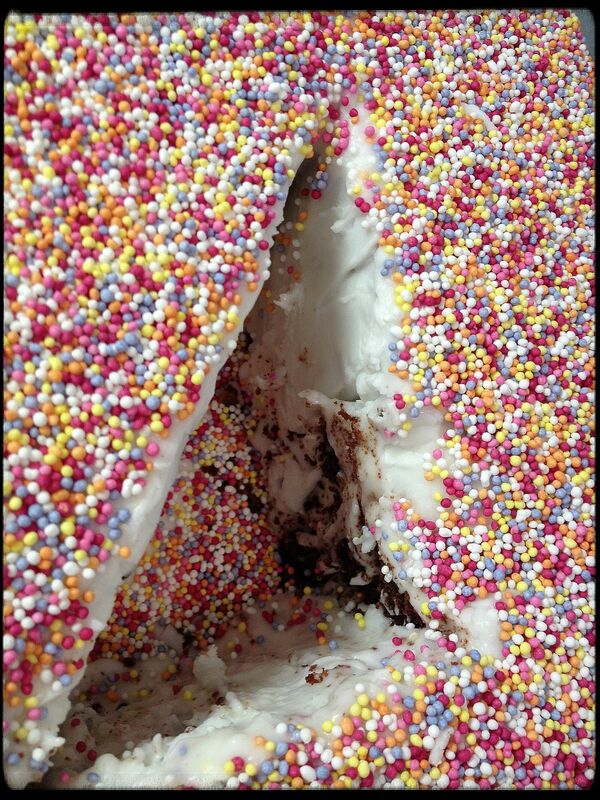 I even managed to get sprinkles all over the inside walls but – of course – couldn’t retrieve the fallen ones in the middle so they just happily rolled around. I did briefly consider disinfecting my vacuum cleaner nozzle and getting in there, but then envisaged the ones that were beautifully stuck to the cake lifting off and shooting into the Hoover so I decided against that. Instead, I blew up a few tiny balloons and squooshed them into the middle gaps to cover a multitude of sins. In case you’re interested, for the bunting, I covered two bamboo skewers with colourful washi tape, then used a craft knife to cut out coloured card and stamped a festive message on it. A couple more tiny balloons (creatively held in place with hair grips as I forgot to take cotton) and hey presto! A 40th birthday cake FULL of childish joy and colour, whilst packing a serious ‘grown up’ flavour. WIN. 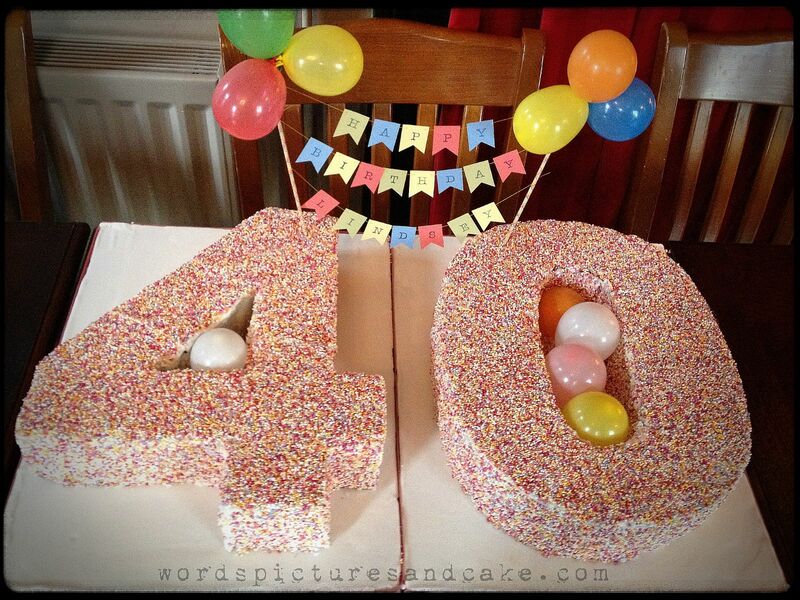 This entry was posted in Cooking & Baking, Events and tagged 40th birthday cake, chocolate and vanilla cake, creme fraiche icing, hundreds and thousands, marble cake, mini balloons, occasion cake by wordspicturesandcake. Bookmark the permalink. 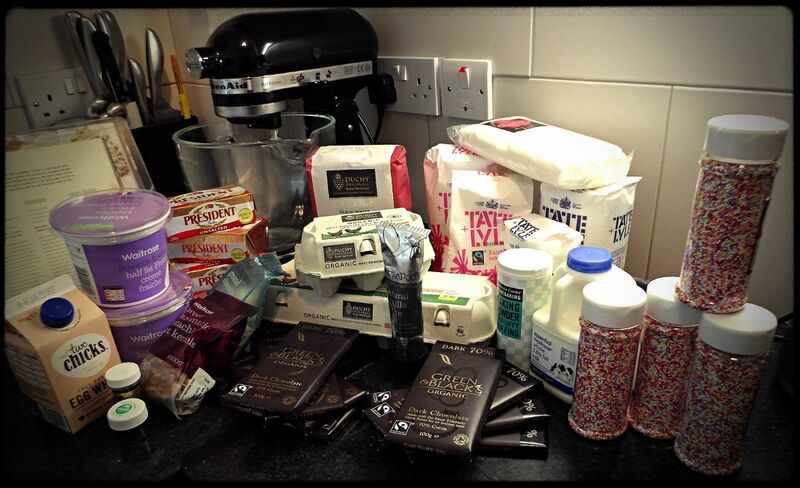 I love that it’s a proper “grown up” cake, very stylish….if that makes sense. Thanks Simone! I’m so pleased with it! 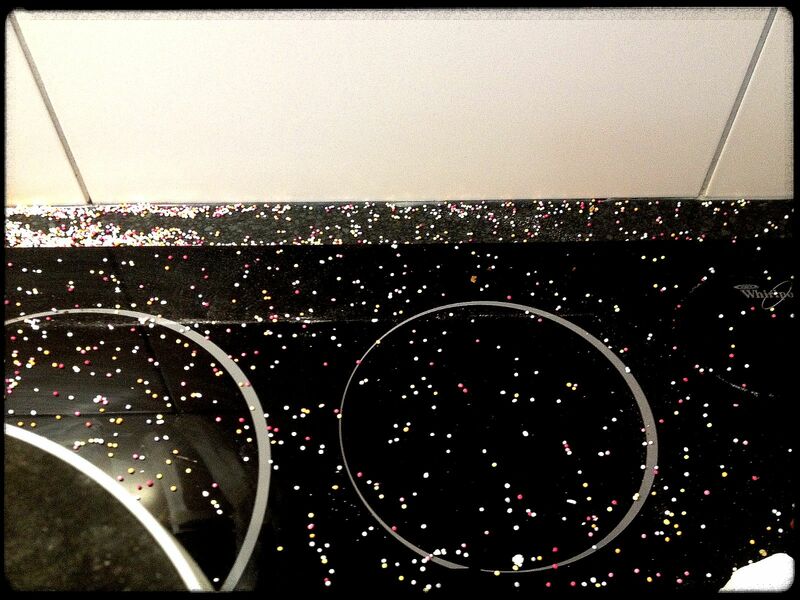 But next time I work with hundreds and thousands, it’ll be a cake I can roll in them! 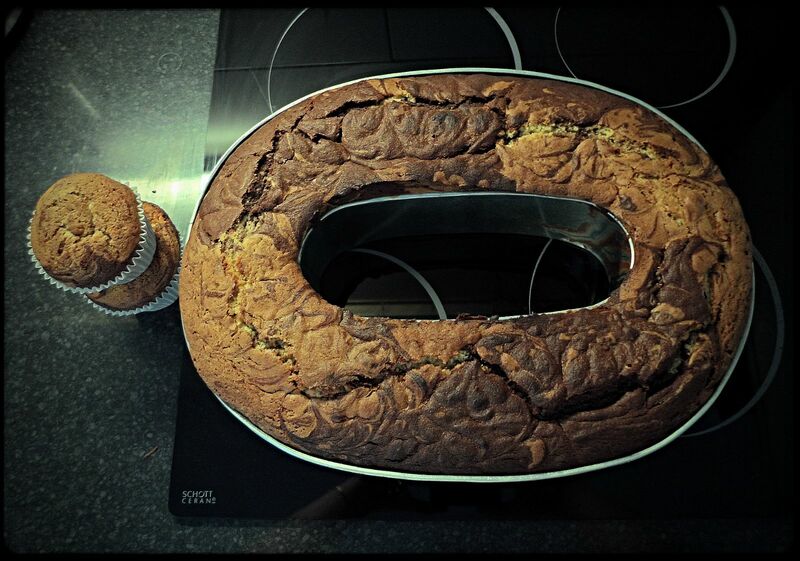 Wow, this cake looks fantastic!